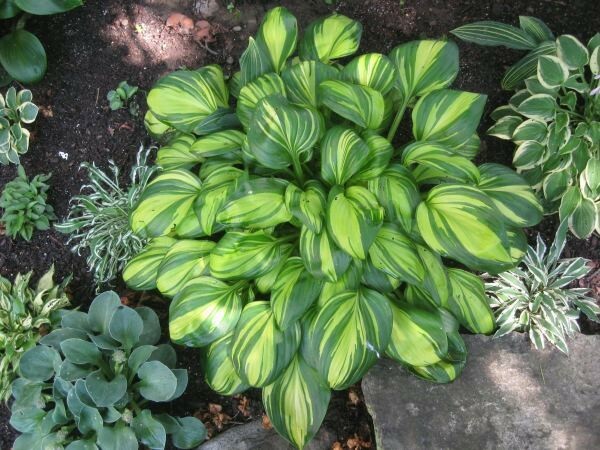 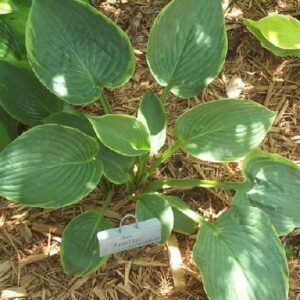 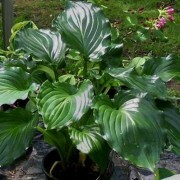 This new, small hosta is one of the more dramatic and unique hostas that we have ever grown. 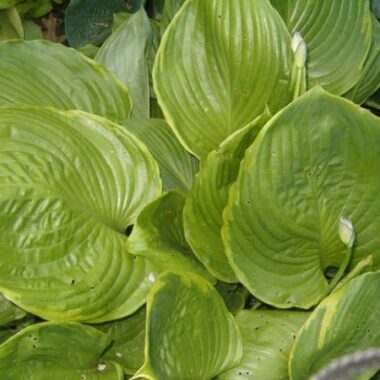 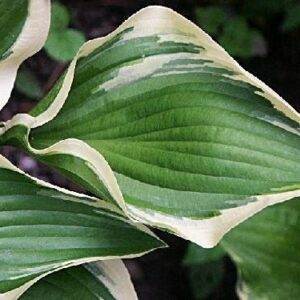 This Hans Hansen sport of Hosta 'Obsession' boasts very thick, canoe-shaped leaves with a bright golden center, surrounded by a wide, dark green border. 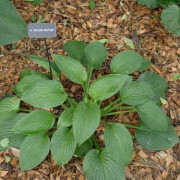 Our 1' wide clumps are topped in mid summer with short red-purple flower spikes of attractive dark lavender flowers. 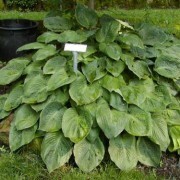 A Giantland sized clump will be shipped! 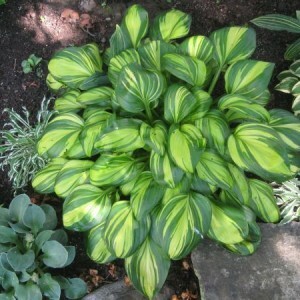 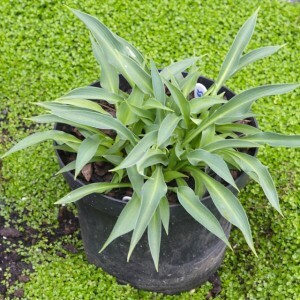 Medium: Medium-sized mound of shiny foliage that is yellow-centered with a narrow, dark green margin; leaf center turns creamy white during the growing season.